Educate the public about Admiral Byrd's life and accomplishments. Educate the public about the Antarctic Treaty which preserves an entire continent for peaceful scientific study and international cooperation. Brought to you by Robert Byrd Breyer, Admiral Byrd's oldest grandson. Bob grew up in Los Angeles, was an Eagle Scout, and earned B.S. and MBA degrees from USC. He has hiked, camped, and climbed from Switzerland to New Zealand and many places in between. Bob followed in his grandfather's footsteps going down to Antarctica three times. He was hired to help build the new Dome South Pole Science Station 1973-74 and was promoted to South Pole Construction Camp Manager 1974-75. Bob returned to Antarctica in November, 1979, at the invitation of the National Science Foundation to commemorate the 50th anniversary of his grandfather's 1929 first flight to the South Pole.​ Bob serves on the Board of Governors of the American Polar Society. Bob is planning an expedition to Antarctica to recover his grandfather's Super Fokker Universal airplane named the Virginia which was demolished in a blizzard in March, 1929 (see First Byrd Antarctic Expedition for story and video). The plane will be returned to the States for display in a museum. 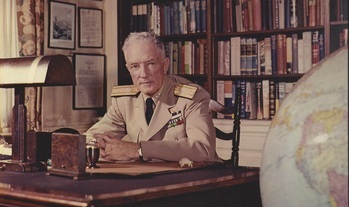 Website content based on information gathered from Admiral Byrd, the Byrd family, expedition members, Byrd’s books, historical archives of the Byrd Polar Research Center at Ohio State University, articles and interviews about Byrd from the National Geographic Society, other books/articles/interviews containing biographical and/or exploration information by authors and historians who have studied Byrd’s life and accomplishments, documentary films about Byrd, and other resources.